A trip to India is often a once in a lifetime opportunity so of course, you’ll want to fit in as much as you possibly can do. With sacred sites, wonders of the world, a wide variety of animals and natural sites to see, it may seem daunting to decide where to go. Well worry no more, as I’ve come up with the perfect itinerary to showcase the very best of India travelling along the Western coast. Take a flight on the national airline Indian Airlines direct into Chennai on the South-Eastern coast of India. Chennai is a fantastic starting place as it showcases Indian culture perfectly. The city is filled with temples that are truly breathtaking, especially the Kapaleeshwar and Sri Parthasathy temples. 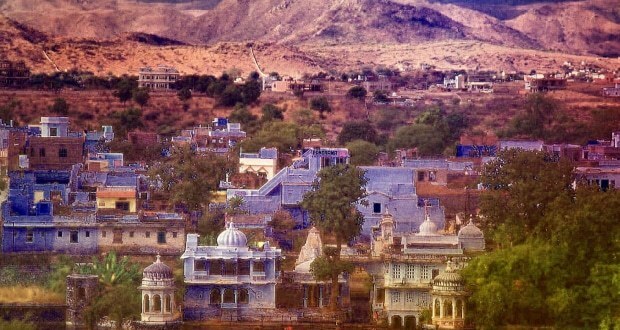 I would also book onto one of the 9 Storytrails here which are a fantastic way to take in the Indian culture. From Chennai, take a trip south to Madurai. One of the oldest cities in India, Madurai is known as being the place to visit if you want to see India’s temples and to experience their many religious festivals. Top of your list has to be the Meenakshi Amman temple, which is a vast, awe-inspiring place to visit and one of the most sacred places in India. You should also visit the Thirumalai Nayak Palace which is not only an architectural delight but also home to the Gandhi Memorial Museum. Leaving Madurai, it’s time to work your way up the coast to Kerala. Here you’ll find a natural wonder in the Kerala Backwaters, a network of lakes, lagoons and rivers. I’d highly recommend taking a ferry ride around the Backwaters to take in the breathtaking scenery which is unique to this area. On your way from Kerala up the coast to Goa, take a detour inland to visit the ruins at Hampi, which are a stunning World Heritage Site. 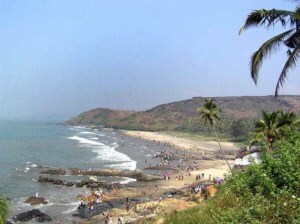 In Goa, you’re treated to a beachside haven with a distinct feel of the hippy sixties. Between Goa and Mumbai, you’ll find Pune, a thriving city which is on the rise. It is famed for its museums and award-winning architecture which helps blend the modern with the ancient. It’s also a great place to catch some of India’s national sport Kabadi which is well worth seeing. Take a 2 hour road trip on the Expressway to take you into Mumbai, a thoroughly modern city. Amongst the new architecture, you will find echoes of Mumbai’s past with the Gateway to India, pagodas and temples. Nearby you should also explore the Elephanta and Kankeri caves which are magnificent. From Mumbai, fly into the North to New Delhi and use this gloriously bustling city as your base to explore the northern sites in the country. Work your way East to Jaipur, which is a fantastic place to see the Indian Elephant and monkeys. You should also visit the Abhaneri Step Well which truly has to be seen to be believed! 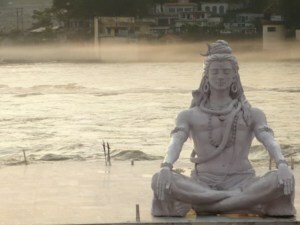 To the north of Delhi, you’ll find Rishikesh which was really put on the map after a visit from The Beatles in the sixties and is the perfect place to relax in on the banks of the Ganges River. And of course, no trip to India would be complete without visiting The Taj Mahal, arguably one of the most famous landmarks in the world, nestling itself just outside of Delhi. The perfect end to a wonderful trip. 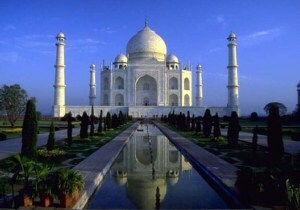 Picking the right time of year to travel to India for you will make the world of difference to your trip. India tends to have three seasons- hot, wet and cool, though this can vary in different parts of the country. In general, the heat of the summer months runs from March to July, with Monsoon season overlapping slightly and running through June to October. The climate cools through November to February as the winter months set in. 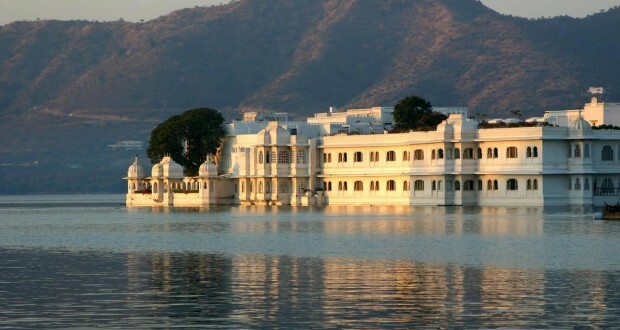 A wide range of accommodation is available in India to suit your needs which much at an affordable price. There is a lot of cheaper backpacking accommodation but also some high-end hotels and resorts. For travelling between places, the train and bus networks are ideal. To help make the most of the time you have in India, it’s also worth looking at internal flights with low-cost carriers offering competitive prices. I would definitely recommend making your internal air ticket booking before you travel to India as it’s much easier and you’ll benefit from better rates by booking in advance. You’ll also need to look at vaccinations before you travel. Currently, the only jab you’re required to have to gain entry into India is Yellow Fever and you’ll need to take your certificate with you. However, the World Health Organisation also recommend a range of other vaccines to keep you healthy during your trip including Hepatitis B and Typhoid.